New Delhi: Admitting that the plan to have defence manufacturing as the spearhead of the government’s flagship ‘Make in India’ project has not taken off, the junior defence minister has suggested drastic changes to bring in accountability. In a presentation made to the Prime Minister’s Office (PMO) in November, the Minister of State for Defence, Subhash Bhamre laid out ‘hard facts’ that have held up the modernisation process of the armed forces. He has recommended several changes in the procurement process to cut down decision time for ‘further improvements in functioning of the ministry’. Details of the highly confidential presentation have come to light only now. The 27-point presentation was made on the directions of Prime Minister Narendra Modi, who had asked Bhamre for feedback. While it highlights positives like relaxations in the FDI policy and the introduction of a Strategic Partnership model for the private sector, Bhamre says much more needs to be done. “The defence sector which was envisaged to spearhead the Make in India initiative launched by the Honourable Prime Minister in 2014, and was supposed to galvanise defence manufacturing sector, continues to languish at the altar of procedural delays and has failed to demonstrate its true potential,” the MoS said. The report reflects the concerns of the private sector that major projects like submarines, helicopters, fighter jets and tanks have not taken off despite the government being in power for almost four years. The biggest complaint has been that the government has continued to favour the public sector for all major deals. Late last year, the minister’s team conducted an analysis of capital procurement, bringing out that almost all projects put forward for acquisition by the armed forces have suffered major delays. “Of the total of 144 schemes contracted during the last three financial years, only 8-10 per cent fructified within the stipulated time period. The average time taken by these 133 schemes was 52 months, which is more than twice the laid down duration of 16-25 months stipulated in the defence procurement policy,” the report said. Strangely, purchases being made from foreign vendors have been processed much faster by the ministry over schemes meant for Indian companies, the data gathered by the ministry indicates. This is possibly due to the fact that service headquarters are more used to buying equipment from abroad, with new procedures that give Indian companies preference facing teething problems. “The data shows that ‘Buy Global’ schemes took less time to mature than ‘Buy Indian’, which is somewhat surprising. Moreover, none of the ‘Buy and Make India’ or ‘Buy and Make’ schemes fructified on time, the delay being medium in case of the former, i.e. 87 months against the authorised time period of 16 months,” the report revealed. Placing part of the blame on the lack of long term planning, the report said that the individual services appeared to be working in silos, with a lack of synergy between stakeholders including the DRDO, the defence ministry and its financial departments. The five-year plans drawn up by forces also lack synergy, the report said. “There is the evident lack of synergy between the stakeholders that is among the various departments of the MoD. The departments appear to be working in independent silos driven by policy/procedures,” it said. The MoS suggested that the ministry promulgate a Technology Perspective Capability Roadmap (TPCR) – a long term plan for acquisition – to help planning. As reported by ThePrint, this roadmap was promulgated last week. Bringing out the dilemma faced by the private sector, which sees huge opportunity on one side and a lack of orders by the government on the other, the report said there is a big lack of information. “There is a lack of direction in the private sector that is fuelled by a lack of information about the requirements of the service’s needs,” it said. The report suggested adopting a project management approach for large projects under Make in India that would make a single agency responsible for delays and lapses. The MoS also suggested bringing in the Ministry of Finance (MoF) as well as the Cabinet Committee on Security (CCS) into the planning and acquisition process to cut delays. “Currently, the MoF or CCS is not aware of the services capital acquisition plans or the annual acquisition plan being prepared by the MoD. They come into the picture only when the case file reaches them for approval of the competent financial authority. This understandably leads to raising of numerous queries, a few of them being even of basic nature,” it said. Adding that regular updates needed to be shared by the defence ministry to avoid these delays, the report also suggested full automation of the procurement process. 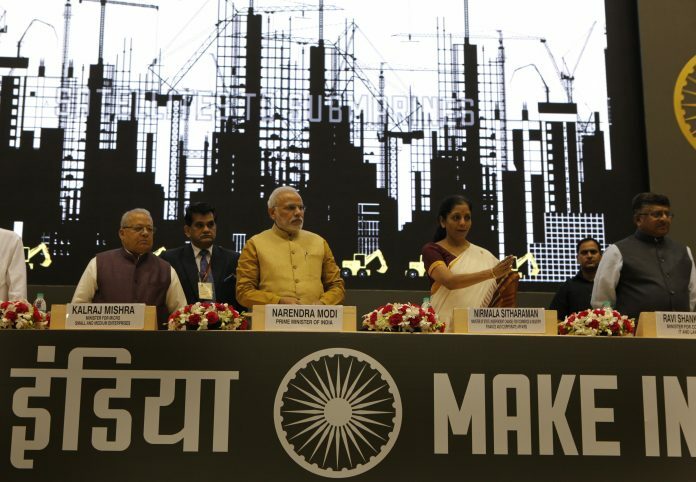 The 11-page presentation placed the blame for Make in India not taking off on a set of multiple problems, suggesting that corrective measures needed to be put in place at the earliest. “The reasons for delays are myriad, ranging from multiple and diffused structures with no single point accountability, multiple decision heads, duplication of processes – avoidable redundant layers doing the same thing over and over again, delayed comments, delayed decisions, delayed execution, no real time monitoring, no programme project based approach, tendency to fact-find rather than to facilities,” the report said. As reported by ThePrint the Make in India story for the defence sector is more or less over, with not a single major project taking off. Given the pace at which things are moving, the NDA government is unlikely to sign off on any of the mega plans it had to award contracts to the private sector for manufacturing fighter jets, submarines and tanks. The aim was to initiate the process of creating India’s very own Boeings and Lockheed Martins to compete in a global market. But as things stand, Indian companies that invested in the defence sector are on the verge of bankruptcy, with some even facing insolvency litigation. Defence manufacturing require serious R&D and is not just manufacturing out of a set of drawings. The physics and processess are different from commercial technology. In India we take the claims of few elite companies having approach to S Blk as gospel truth even when they having no defence experience. After receiving the RFP and on approaching OEM these cos realise the complexities. Defence technocrats in Govt. and PSUs are neglected and forced to be steered to keep the pvt cos move in so called level playing field. In such state only the foreign OEM will rule the Indian Defence industry. Good that somebody has courage to tell the king that the ‘parrot’ is dead. The stark truth is that politicians promise without knowing ground realities. Those who have to deliver; the bureaucrats, suddenly find an ignorant, ill informed minister as their boss. And then he is replaced by another with similar qualifications. And then a third one. No one ever does serious business as they are all enjoying their stint in power, which may not last beyond this tenure. We are yet see a breed of politicians who work honestly and tirelessly for building a nation without partisan agendas. You are 101% correct. I have wondered while hearing the elaborate rhetoric of Modi in his massive plans to change India into Switizerland costing trillions of dollars. Where he found the capital? We see nothing but a mere fake drama while the politicians are getting too rich too fast. We all need to pray for that goal as you have stated at the last sentence. On a lighter note, some companies that invested in the defence sector are facing bankruptcy, but one firm that was on the verge of insolvency may be rescued by its contract for offsets.